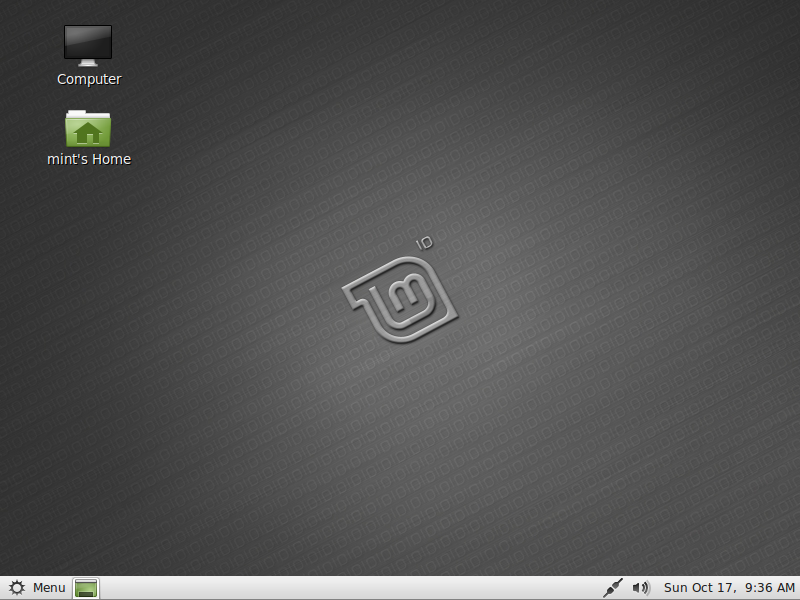 Linux Mint is a variant of Ubuntu with integrated media codecs. Complete with a custom desktop and menus, several unique configuration tools, a web-based package installation interface, and a number of different editions. Perhaps most importantly, this is one project where the developers and users are in constant interaction, resulting in dramatic, user-driven improvements with every new release. Excellent alternative for Windows. Today my OS! Too many flavors of ubuntu out there that bring nothing to the table, and here is another one. Best DE going now is Deepin, and you can install Deepin desktop on ubuntu now using a PPA. Its the best way to go. Dont waste your time on Mint as it uses the clunky and redundant Cinnamon desktop which feels like Windows98, and still has no upgrade path far as I know meaning you have to reinstall the entire OS every time they make an update. Seems like a nice advance over 18.3. The beta is still a bit slower, as in most betas...look forward to the final. It's my favorite distro. I love Linux Mint. It doesn't use the resources that Window 10 does and it's has pretty much everything I need. The system is getting to be very user friendly with each upgrade and I use it just as much as I do Windows 10. Meh, ubuntu is dead now they have taken too many insane turns, and all distros based on it will have to dump it at some point. If you want to see the future try Deepin linux, custom DE based on Debian. I've been using mint 17 since the release candidate on virtual box. It runs very well but I just wanted to add that all the wobbly window effects using compiz won't work properly on a virtualbox installation (from Mint forums). I tried it anyway and lost the ability to close and move windows. Mate is good enough for me. I have been using Mint since its inception. Version Mate 16 still running hot. However, in a virtual box install, Rebecca is not up to specifications. Specifically cube, animations, etc. Pros: The best for begginers! My choice for all Internet services! Cons: If you like cinnamon a good machine is necessary! Be careful with updates - 'timeshift' before ever! Bottom Line: Excellent alternative for Windows. Today my OS! Bottom Line: Too many flavors of ubuntu out there that bring nothing to the table, and here is another one. Pros: Easy to use, tried XFCE version and it's pretty fast. Very polished. Cons: beta a bit slower than 18.3 released version, but that should change. Bottom Line: Seems like a nice advance over 18.3. The beta is still a bit slower, as in most betas...look forward to the final. It's my favorite distro. I really like Linux Mint but I miss the LXDE edition. The Accessibility Zoom function which was rock solid stable in previous GNOME-based releases is now prone to causing system freeze-ips on mundane functions like inserting a USB flash drive, watching a flash video in Firefox or VLC or file functions in Nemo. I've logged two bug reports on GitHub and the Mint bug reporting website and nothing has happened in several weeks. Assuming that full GNOME compatibility was the goal, it failed since it also broke Tobias Quinn's gnome-shell-mousewheel-zoom. Also, Nemo remains buggy and inconsistent ; keystroke commands such as Control-A to select all works sometimes and at other times not. It needs a thorough de-lousing. The OS is quite nice but useless to me because of these bugs. This is a beta quality final release so it gets THREE stars for a work in progress. I upgraded from Ubuntu 10.04 to 12.04, and that was too much of a shock for my system. The Unity interface simply was too buggy and unwieldy for my tastes. Yes, I could have chose another distro from Canonical, but really liked the Gnome shell. So, that brought me to Linux Mint. Long story short, chose the Mate shell because it essentially is a fork of Gnome 2. Installed it, and am very pleased with the performance and features. Plus, it is, of course, fully compatible with Ubuntu repositories, so I will keep it. When I first wrote the review for Mint 13RC, it was quite a flattering one. I since have worked extensively with release versions of the two editions and have to change that review. I am a visually impaired user. Since the “10” series of releases, the Linux community has consistently and increasingly abandoned visually impaired users with releases that fall into three categories: passable, broken but fixable, broken and unusable. Nothing since Mint 10 even approaches the “just works out of the box” experience that is not only their credo but also the hallmark of that OS. Mint 13 MATE Edition fits into the “broken but fixable” category. Out of the box, it completely lacks magnification facilities but this can be remedied by a procedure that is best described as jumping through hoops of fire. You must enable Compiz, install CCSM, edit the MEATE conf file to make Compiz the default and then navigate the minefield of available plugins to install window borders and controls, enable desktop zooming facilities, etc. This is tedious for a normally sighted user. For a visually impaired user, it’s unforgivable. The Cinnamon Edition is broken for visually impaired users – period. The magnification facilities have a serious bug, 1007102 (https://bugs.launchpad.net/linuxmint/+bug/1007102), which remains unacknowledged and unassigned. This bug renders the OS unusable for visually impaired users. Linux users are very fond of heaping hot coals of castigation on their favorite whipping boy, Microsoft, for not doing it right. At the time of Ubuntu 10.10 / Mint 10, Linux was a leader in built-in, out-of-the-box aids for visually impaired users and made XP and Vista look like poor cousins. Microsoft remedied this with Windows 7, tabling an OS that put it easily on par and in some ways superior to the Linux Accessibility features of the “10” series. With Ubuntu 12 and Mint 13, Linux has not only fallen behind, but has taken enormous strides BACKWARDS to the point that the pathetic efforts of both XP and Vista are paragons of support for visually impaired users in comparison. In short, the distros are singularly pathetic in that department and Linux fans definitely deserve to be hanging their heads in shame because in going forward they have regressed further than Windows was Two Generations Ago. It's one thing to not evolve but when you REMOVE features and capabilities that were present in previous versions of the OS without replacing them with something that is at least on par with what you removed, that's enormously embarrassing. From an end-user perspective, both editions of the OS are unfinished works in progress, mostly because of the continuing development of the desktop environments they employ. Of the two, MATE is considerably more mature with Cinnamon lacking fit and finish for configurability in areas where MATE is already established. Both environments however are head and shoulders above vanilla Gnome3 or Unity which, while wonderful examples of the shiny-new-toy syndrome, lack ease of use and configurability that both MATE and Cinnamon possess. At this point, I can’t recommend upgrading to either environment if you are a visually impaired user looking for a seamless Mint 10 style out of the box experience. If you are a visually impaired user and want to swim against the very strong current, choose the MATE edition and have a magnifying glass handy. If you are a normally sighted user, proceed with caution but again choose the MATE edition - the Cinnamon edition is very buggy (as far as I'm concerned, this is early Beta code and NOT a stable release regardless of what the dev team claims) and quite crash prone especially if you choose to customize. For my rating, I give these editions TWO stars. You have come a long way folks but you have MUCH further to go, especially for visually impaired users. If you want a 12.04LTS release with excellent design, full support for visually impaired users out of the box and Less Rough Edges, try Zorin OS 6. I just said goodbye to Mint, Cinnamon and MATE.